My Life – My Future! The book» Social Skills for Young People «offers you a theoretical orientation: It introduces you to the basics of the training concept and to the training program. 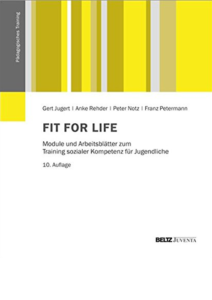 The Manual» Fit for Life «contains 13 modules (among others Motivation, communication, life planning) for training with adolescents and 11 modules for your training.